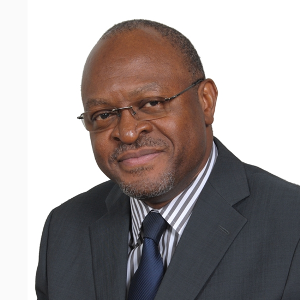 Ferdinand Kemoum Ngon is a Managing Director of Emerging Capital Partners (ECP) and head of the Douala office. Mr. Ngon is responsible for identifying, analyzing, and recommending investments and for managing investment appraisals, transaction execution, portfolio, and exits. Prior to joining ECP, Mr. Ngon served as Managing Director of Framlington Asset Management Central Africa. Before joining Framlington, Mr. Ngon held several senior positions at LOITA Capital Partners International, a boutique investment bank based in Johannesburg, South Africa. Mr. Ngon’s extensive experience working with African banks also includes positions at Amity Bank Cameroon, Banque Meridien Biao Cameroon, Meridien Bank Cameroon, and Afriland First Bank (formerly Caisse Centrale d’Epargne et d’Investissement Bank). Mr. Ngon was also CEO of Banque Continentale Africaine (BACAR) in Kigali, Rwanda. He began his career in Paris as an Assistant Fund Manager with Technique de Gestion Financière. Mr. Ngon has served on the boards of numerous African companies, including banks and insurance companies. He is an active proponent of the formation of a Central African stock exchange, writing and lecturing extensively on the matter. Mr. Ngon received a bachelor’s degree and a master’s degree in economics from the University of Lille (France). He also earned a post-graduate degree in management of banks and financial institutions from the Université de Paris Dauphine (France). He has served on the boards of Oragroup (West and Central Africa), Semme Mineral Water (Cameroon), and Bacim Bank (Mauritania).